Where can you sail on grass? Which canal crosses a river, and which one foiled the plans of the Prussians? Culture.pl presents six incredible works of nature and human labour from Poland’s waterways. The basins of the Wisła and Niemien rivers are connected by the 101km-long Augustów Canal. It traverses a chain of twelve lakes and the most natural area of Poland, the so-called ‘Green Lungs’. It crosses the Augustów Forest, and the River Czarna Hańcza flows into it. 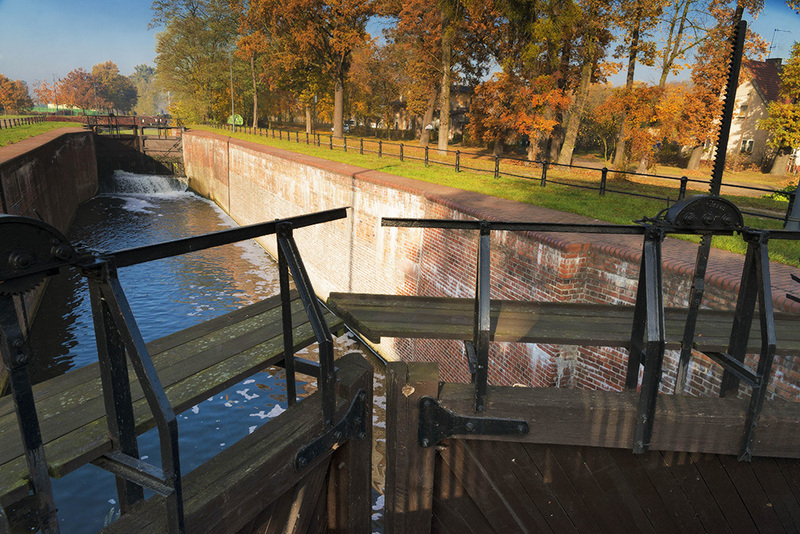 Constructed using red bricks and sandstone, the canal is made up of eighteen locks. It has been entered into the registry of objects of cultural heritage and is classified as a historic monument. The picturesque waterway has a colourful history. Already in the 16th century, the Hungarian-born Polish king Stephen Báthory had the intention of building a bustling navigable canal between the Narwia, Biebrza and Niemen rivers (nowadays, the Augustów Canal is a part of the Stephen Báthory Trail, a waterway in north-eastern Poland). The idea got back on track in the 19th century, when the Prussian restrictions on customs at the port of Gdańsk effectively hampered the transport of Polish goods. The Minister of the Treasury in the Russian-controlled Kingdom of Poland, Franciszek Ksawery Drucki-Lubecki, proposed a plan that was then approved by Tsar Alexander I. The brilliant officer and engineer Ignacy Prądzyński was the designer and project manager, learning the art of canal building through German and French manuals he had been reading on his way to Augustów. He also drew the maps of the region himself, supposedly five times faster than a team of specialists in the 1970s. The construction of the canal started in 1824. The work involved nearly 7,000 people of many nationalities and local peasants who obtained their freedom in return (hence the name of one of the locks: Freedom). The 1830 November Uprising against Russian rule halted the work, until it was continued between 1833 and 1839 by the hydrotechnician Teodor Urbański (during that period, the sickly General Prądzyński was being treated in Heligoland, where he shortly died during a swim in the sea). The Augustów Canal didn’t fulfil its envisioned role though, because in 1825 Prussia lifted its heavy transit duties. The start of the canal’s construction and the concept of shifting commerce eastward certainly sped up the agreement. In Poland, the 5 złoty coin depicts the Bydgoszcz Canal and commemorates the economic growth of the city. 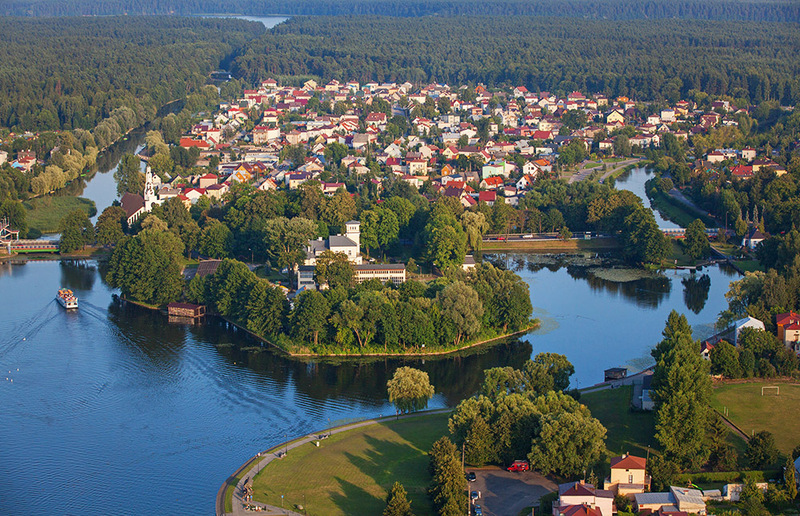 The 24 kilometre-long waterway itself has its roots in the Kingdom of Prussia. Even though the idea of connecting the basins of the Odra and Wisła rivers emerged in the 16th century, when a detailed project had been proposed to King Stanisław August Poniatowski by Franciszek Florian Czaki, the plan was only finally carried out by the Prussian King Frederick II. The construction of the canal started in spring 1773 and the first successful transport run was completed in mid-September a year later. 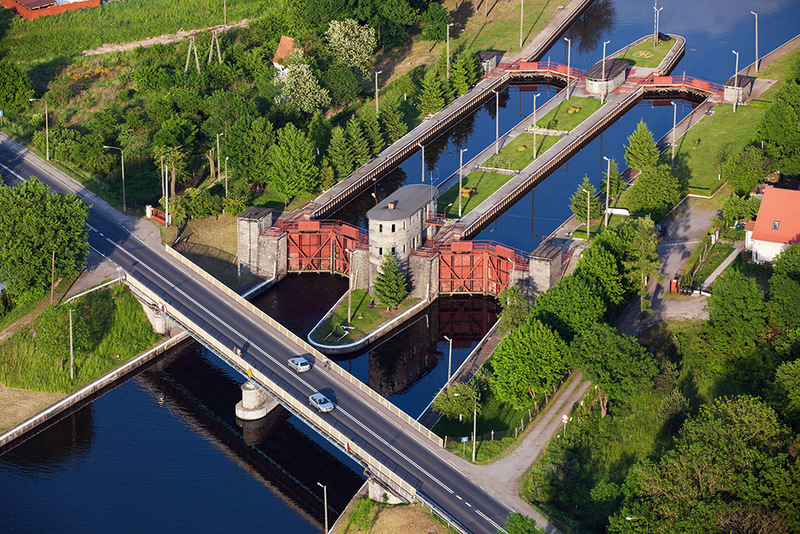 The Bydgoszcz Canal was systematically modernised through the use of cutting-edge solutions. It was one of the first canals in the world with locks made uniquely out of bricks, one of them in the form of a trapeze. The sophisticated design required a sophisticated system of locks – barges had to be turned around (in a place called an obracanka, or ‘turnaround’), dragged by their backs up the Brda River and transported to Miejska Lock. At the beginning of the 20th century, a 2.5km-long blind section – the so-called Old Bydgoszcz Canal – was formed as a result of reconstruction. Planted to protect the banks, black poplars now over 200 years old grow along the stretch. The area used to be vibrant: people passed their free time in Kleinert’s Garden or at the famous banquets in Śluza Kwiatowa restaurant (also known as Blumenschleuze, or the Flower Lock), or sometimes at outdoor painting workshops, or on boat rides. Nowadays, the memory of the old times is maintained by the Museum of Bydgoszcz Canal. This canal uses an innovative level system that can seem complicated. Five inclines placed on a stretch of just 9 kilometres allow boats to traverse the approximately 100 metre height difference between the levels of the lakes the canal links. Although a similar design had been implemented before on the Morris Canal in New Jersey, the engineer behind the Elbląg Canal, Georg Jacob Steenke, significantly modified the American idea and the inclines still work to this day. They run on rails powered by the flow of water, creating an effect that make it seem the boats ‘sail’ on the grass. Calculating this up along with other costs, such as the locks, bridges, weirs and other hydraulic engineering structures, adds up to very a hefty sum – according to the historians of the canal, it exceeds the cost of the Eiffel Tower. The Elbląg Canal (formerly known as the Oberland Canal) is 84km long and when including its branches its length exceeds 151km. Its unofficial names derive from a marketing skirmish between the cities it connects: sometimes it’s called the Elbląg-Ostróda Canal, sometimes the Ostróda-Elbląg Canal. Surrounded by a nature park, it passes Żuławy Wiślane, a low marshy area, and the Iława Lakeland. 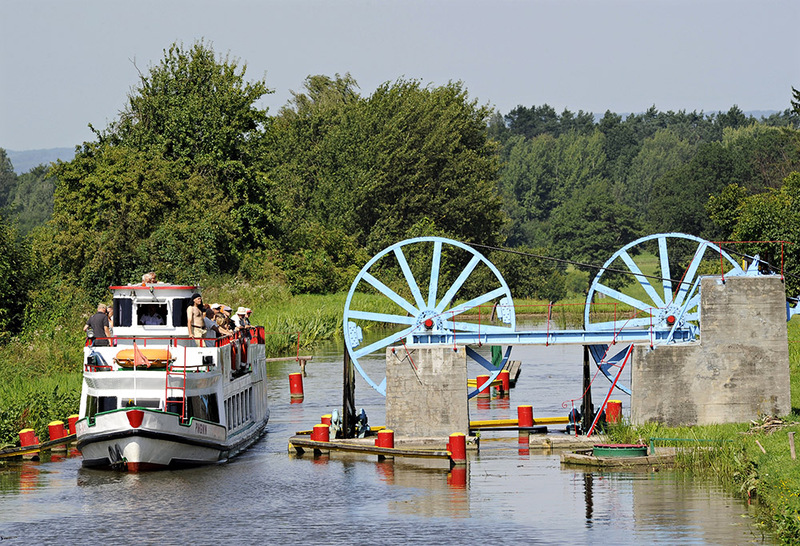 Nowadays the Elbląg Canal is mainly a tourist attraction, so its construction between 1844 and 1860 has certainly contributed to the economic development of the region in more ways than originally planned. A rare example of a river bowing down to the superiority of a canal. The so-called Kłodnica Siphon – a 50-metre stretch where the Kłodnica River crosses collision-free beneath the Gliwice Canal – is one of only three such designs in Poland. The others are the aqueduct in Fojutowo separating the Czerska Struga River from the Great Canal of the Brda River, and the River Flis flowing under the Bydgoszcz Canal. Constructed between 1935 and 1941, the Gliwice Canal replaced the well-worn Kłodnica Canal. Before the railways pushed out the need for inland waterways transportation, the canal used to be full of barges carrying coal or iron from Gliwice to Potsdam and Berlin. Nowadays, the 40km canal connects the Gliwice harbour basin with the Odra River in Kędzierzyn-Koźle. The ongoing modernisation efforts don’t obstruct the flow thanks to a two-chamber lock system – while one lock is undergoing renovations, the other one is kept open. Just 8 kilometres in length, this canal flows directly into the sea. Formerly known as the Kaiser Canal, the port in Szczecin it connects to the Baltic Sea was already described in records during the reign of Otto I in the 10th century. It was created to direct the capricious waters of the Stara Świna River. The canal displeased the inhabitants of nearby Karsibór because it separated the village from land by creating an island – today though, the two shores are connected with a bridge. Since its 6-year-long construction was completed in 1880, it is still widened every so often (in fact, it will soon be 12 metres in width) to accommodate big watercrafts. 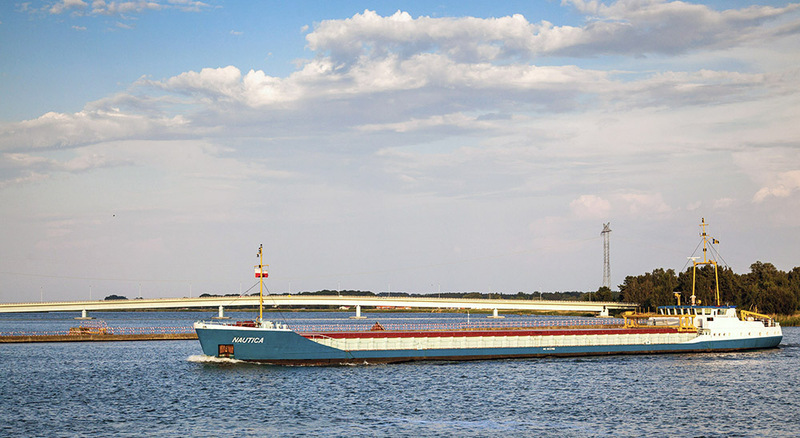 The route of the Piast Canal is set in accordance to the green islands of Uznam and Krasibór and two breakwaters: the eastern one 430 metres in length, and the western 550 metres. It was in the 17th century when King Zygmunt III Waza commissioned the construction of a canal to protect his mansion in Nieporęt from floods from the nearby river (hence the nickname of the canal: the Royal Canal). In the 19th century the idea of connecting the Wisła and Niemen rivers was a solution to Poland being cut off from the sea by Prussia (the Żerań section remains a dream). The work began in the 20th century, and 2.5 kilometres of the canal was built. The contemporary navigation channel connecting Żerań and Zegrze is the post-war continuation of Tadeusz Tillinger’s design. The engineer, disheartened by his service in the Russian navy, found his calling in hydraulic engineering. A lock regulating water levels on both sides is now named after him. It was once the second biggest lock in the world, exceeded only by the Aswan River Canal on the Nile. The 17 kilometre stretch of the Żerań Canal is free of buildings – a blessing for kayakers and fishermen – while the nearby CHP plant heats the water, which benefits the fish population. Hopefully, despite the planned gas pipeline along the canal, this marvellous waterway won’t lose its charm. The River Wisła: Does It Connect or Divide?